I haven’t been really been styling lately. 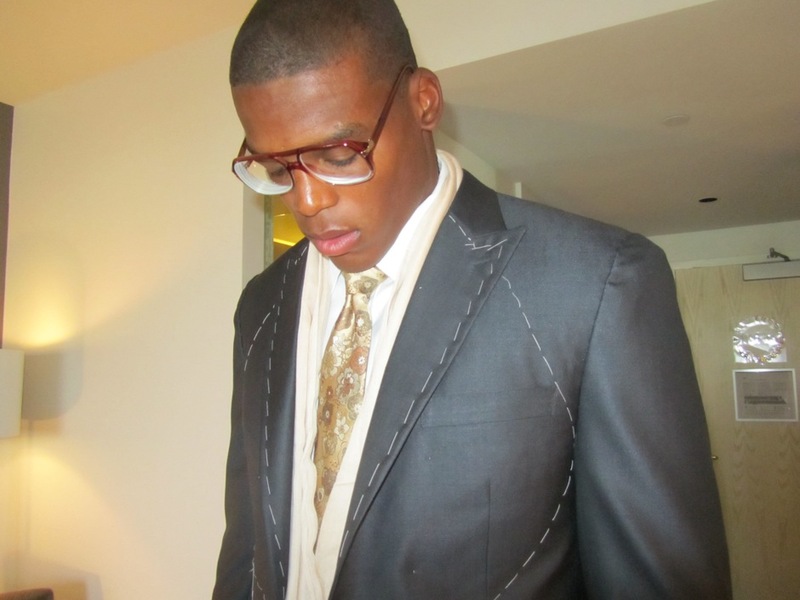 I have been directing, but I received a call from Carlos Flemming at IMG asking to to style Cam Newton. I had no idea who Cam was, but I asked my “boss” at Cameo Stars and he told me he was the hottest thing in football right now. Him and Tim Tebow. 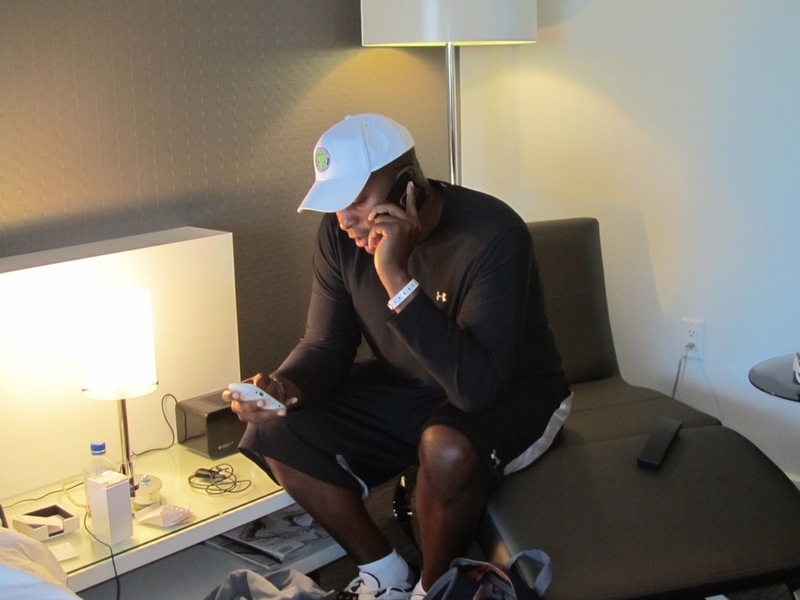 So here I am at the W hotel in Hollywood, about to meet a client for the first time. It is always a little nerve racking. You don’t know what to expect. Will they like the clothes? Will they hate them? Will they fit, since he is 6.5? Will the agent be happy. 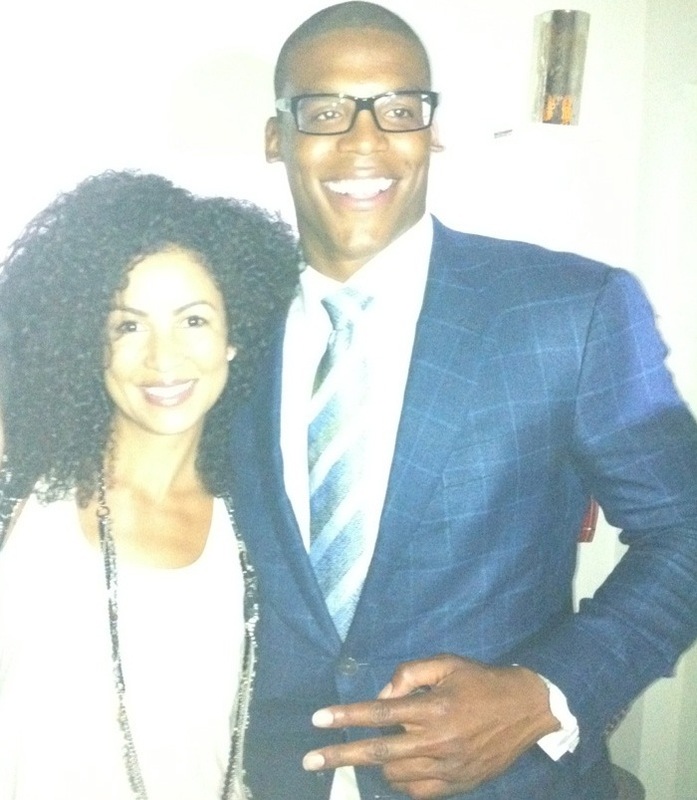 There was lots of pressure her since Cam was up for 4 Espy’s and possibly presenting. 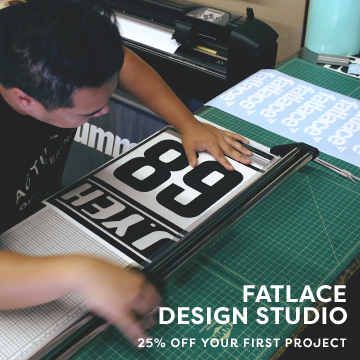 There wasn’t much of a budget, so I started designing backwards. 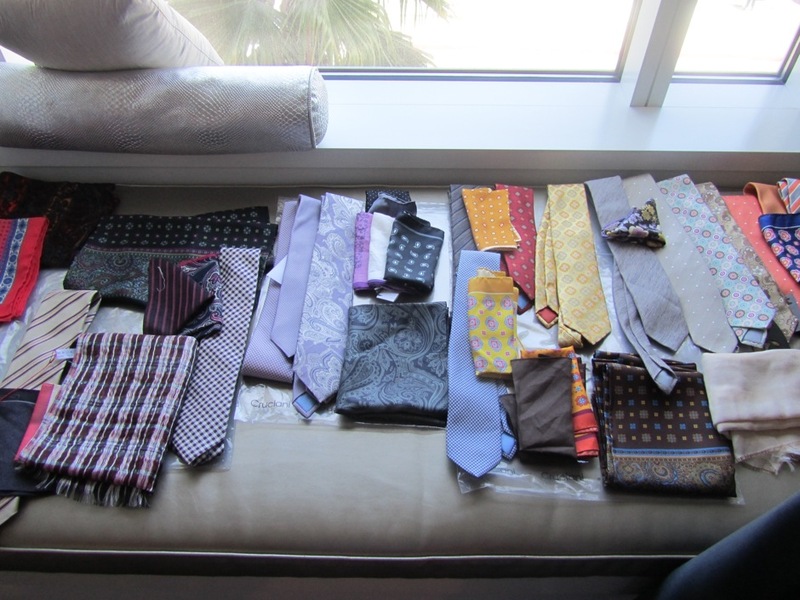 I picked out a few color “stories” from a large group of ties, scarfs, and pocket squares from Jared M. I have been working with Jared since the Kevin Garnett days. 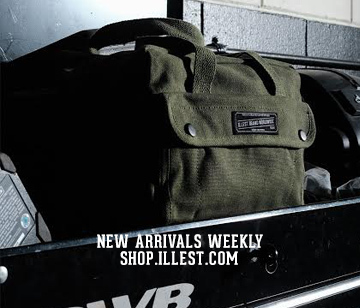 The accessories and furnishings are the fashion in a man’s suit. Next, I picked a grey sharkskin fabric from a an overwhelming pile of fabric swatches. First it was blue, then it was grey. I saw lots of pictures of Cam in a blue suit. It was a hard call. Grey is my favorite color… Grey it is. 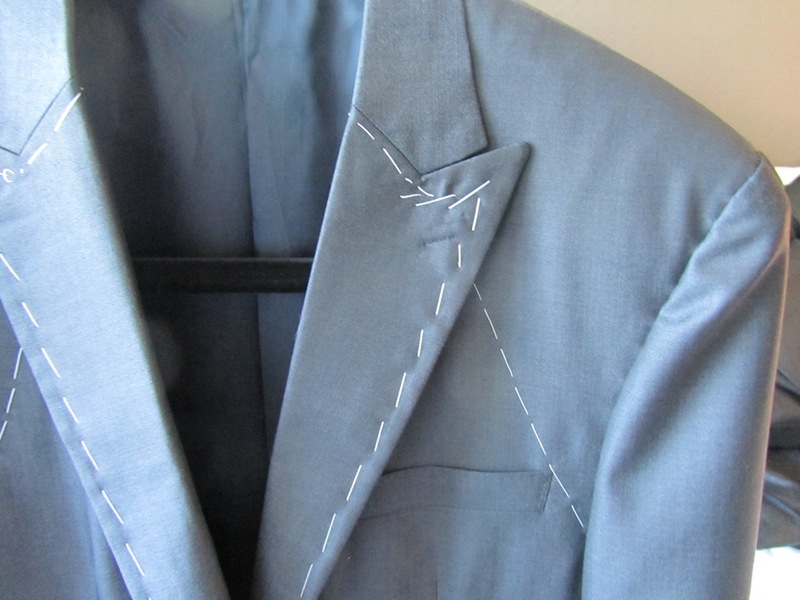 This is what a custom suit looks like when is it professional constructed by a tailor. 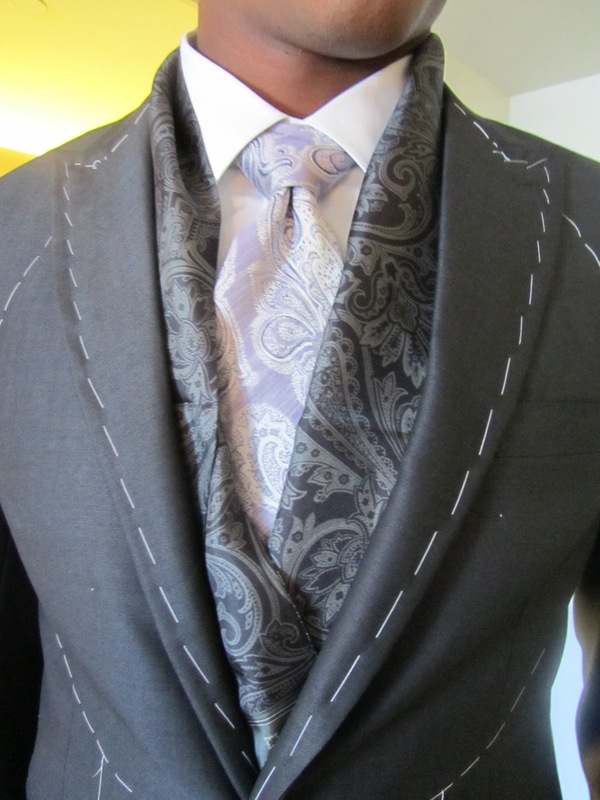 I now is than 24 hours after choosing the fabric and the body style – I had the makings of a suit. Now I need to show it to Cam. Up in the hotel room of the agent, Miranda, my fabulous assistant and friend, helped me set up. 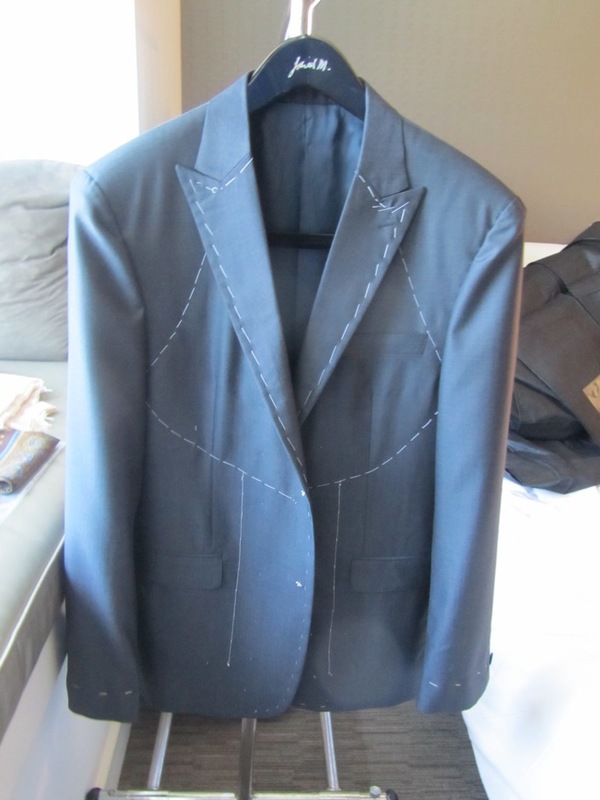 Kaitlin Anthony, of Jared M, the suit maker, came to help me with the fitting of Cam. I don’t think I could have done it with out her. She is awesome and can dress a killer tie. Carlos is doing business. 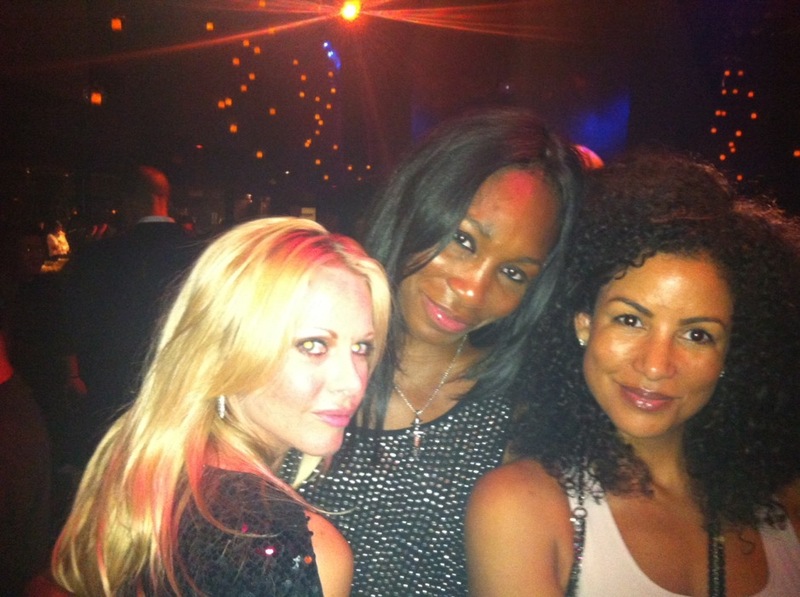 Making plans for Venus to play tournaments on her way to the US open. Cam can’t seem to understand what the suit will look like with out all of these white lines. He may actually be nervous. His only request was Urban Preppy. We tried the different color stories. The girls thought this one was going to be the winner (before he tried it on). I knew it was never going to be “the one”. Now this isn’t the suit I made. After the day was over I went to the ESPN party hosted by Serena – and ran into Cam. I wasn’t sure he remembered me from earlier in the day. 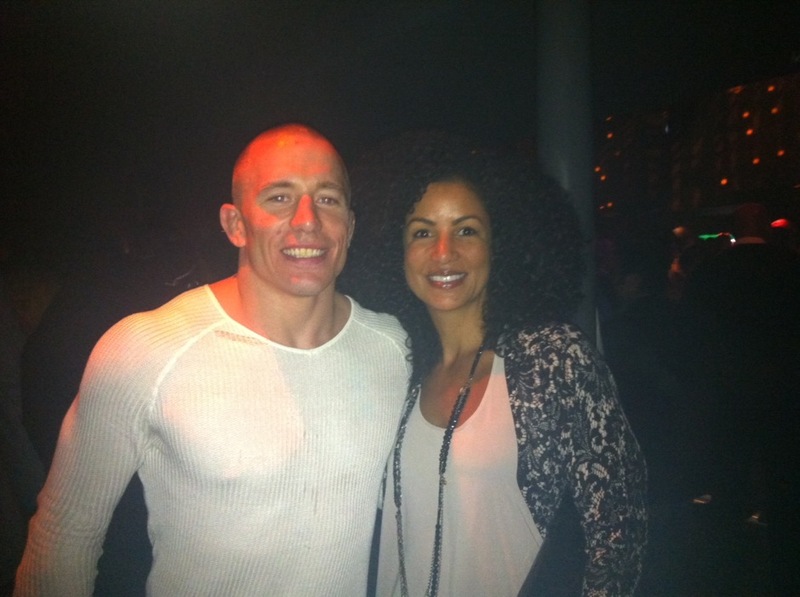 I also ran into my old friend GSP. The ultimate fighter. I think he is awesome.